products for a variety of clinical applications. Mr. Yu has about 12 years of experiences in private equity and venture capital investments, where he led transactions, sourced deals, advised on portfolio companies in their operations and business development activities. He has been primarily focusing on the healthcare sector and conducted transactions in the US, Greater China, and the ASEAN regions. Prior to joining QuanDx, Hao held Executive Director position at CITIC Guoan Capital, where he led the firm’s oversea investment funds. Before CITIC, Hao was an Associate at the China-ASEAN Fund in Hong Kong, sourcing and executing China-ASEAN cross-border healthcare transactions. Prior to moving to Hong Kong, Hao worked in the World Bank and International Finance Corporation. Mr. Yu obtained his MBA from Johns Hopkins University and B. Sc. in Biochemistry from the University of Ottawa. 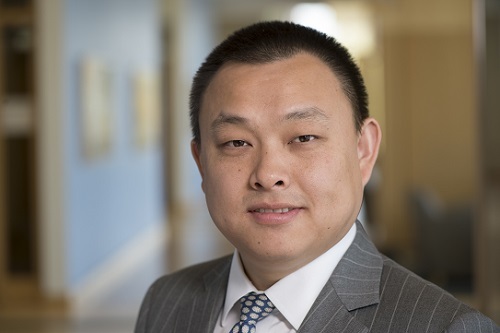 Dr. Lei founded QuanDx in 2012 and brings broad experience in finance, research, and clinical development and manufacturing to his role as Chief Executive Officer. Prior to founding QuanDx, Dr. Lei served as Eastern Regional Account Manager of CVC Microtech, where he was responsible for marketing and sales in the eastern region of the US. Dr. Lei received his Bachelors in Medicine from Tongji Medical College of Huazhong University of Science and Technology. He received his PhD in Pharmacology from Cornell University, where he worked as a research associate at Memorial Sloan-Kettering Cancer Center on cancer diagnostics and anti-cancer drug development. Dr. Yu co-founded QuanDx with Dr. Lei in 2012. Dr. Yu serves as President, CEO and Chairman of the Board at Epitomics, which was acquired by Abcam in 2012. Additionally, he serves as Executive Chairman of Crown Bioscience, a leading global drug discovery and development service company. Dr. Yu has more than 15 years of experience in genomics and 24 years of experience in life sciences research. Before co-founding Epitomics Dr. Yu was Senior Vice President of Research and Development at Mendel Biotechnology Inc. While there, Dr Yu established a robust functional genomics program, exceeding all six milestones for the Research Agreement with Monsanto and Savia, all while managing more than 60 Ph.D. scientists and research associates. At Human Genome Sciences, Inc., a prominent genomics company, Dr. Yu helped to establish the high-throughput gene discovery program. Dr. Yu holds a PhD. From the University of California, Berkeley, and received his B.S. degree from Fudan University, Shanghai, China. 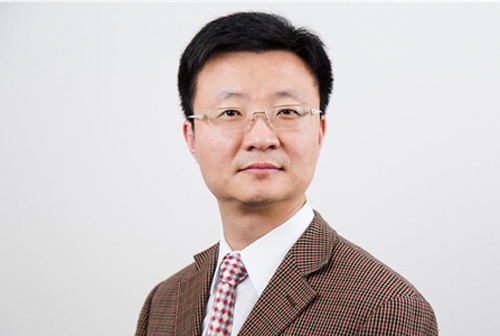 Dr. Yu was a Post-Doctoral Fellow at the Harvard Medical School and founded the Chinese Biopharmaceutical Association. He is co-inventor and coauthor of more than 100 patents and scientific articles. 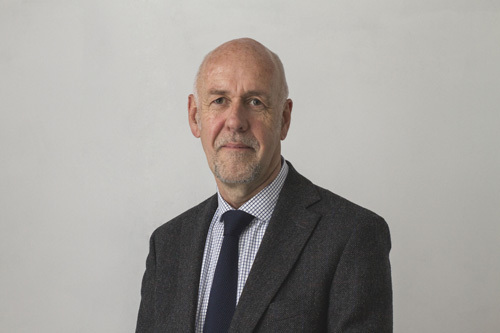 Graeme Duncan serves as Vice President, European Sales and Marketing. Mr. Duncan has over 30 years of sales and marketing management experience within the diagnostic market, and has spent the past 20 years working exclusively within early-stage companies. Prior to joining QuanDx, Mr. Duncan was Director of Global Marketing for Invivoscribe, where he was responsible for all aspects of commercial operations, including management of the European subsidiary in France. Prior to his time with Invivoscribe, Mr. Duncan held various senior management, sales and marketing positions within Ipsogen, Cytocell and Speywood Pharmaceuticals. Mr. Duncan began his commercial career at Ortho Diagnostic Systems in the UK. Specializing in building the sales, marketing, and support functions of new companies, Mr. Hayurst brings extensive experience to his role as Business Development Consultant. Mr. Hayhurst has 15 years of experience working for three of the top five manufacturers in the healthcare diagnostic industry, and focuses on coordinating key opinion leaders with early stage studies and evaluations necessary to bring new products and technology to market. Over the past few years he has worked closely with companies building product portfolios around PCR, gene expression, microarray, and/or FISH technology. Both clinical and research consumers have relied on Mr. Hayhurst to introduce cutting edge instrumentation and reagents. Some of his past clients include Clarient, Expression Analysis, Pathwork Diagnostics, BioTrove, Acrometrix, Irvine Scientific, Perkin Elmer, Arbor Vita, and Thermo Fisher, as well as government, university, pharmaceutical, and clinical labs associated with the evaluation/endorsement of those product lines. Specializing in technical marketing and customer relations, Dr. Kiefer has 13 years of experience both as a scientist and as a marketing consultant. As a Product Development Manager at Intelligent MDx, Dr. Kiefer had hands-on experience developing and co-patenting IVD molecular tests for a number of infectious diseases, some of which were cleared to run on Abbott’s m2000 platform. More recently as a consultant, Dr. Kiefer has worked with various life science and biotech companies interested in market specifics and hearing the voice of the customer. Dr. Kiefer received her Bachelor of Science from the University of Massachusetts, Amherst in Honors Microbiology, and received her Ph.D. in Microbiology from Boston University School of Medicine.